It has been nearly ten years since Iron Man kicked off the Marvel Cinematic Universe, and as it progresses through phase three, it has shown no signs of stopping. With an array of superheroes and villains under its belt, this phase will see standalone films from the long-awaited Captain Marvel and Black Panther. However, one character is returning to the big screen to become an integral part of the MCU – and he is probably the most down-to-earth member of the team. Tom Holland’s Peter Parker AKA Spider-Man is, in MCU terms, relatively normal – run-ins with radioactive spiders aside. He isn’t from space, he isn’t extravagantly rich, and he hasn’t been specially trained to defend the universe – he is just a socially awkward high school student with girl issues. He isn’t the kind of superhero we’ve grown accustomed to in the MCU and that’s what makes him stand out. During the events of Captain America: Civil War, Peter believes that he’s limiting himself by foiling small, local crimes to stick up for ‘the little guy’. He is, in fact, capable of great things and can hold his own but he’s struggling to balance home and school life with heroism. While he is an established Marvel character in comics and film, it is sometimes easy to forget that Spider-Man is much younger than the rest of the Avengers. This is something that young Tom Holland fits rather nicely, as from his youth comes enthusiasm – something that the more senior Avengers need to curb from time-to-time. He’s a character still getting to grips with the stranger aspects of the universe, with seeing Bucky’s metal arm eliciting excitement rather than a threat assessment. Peter is also starstruck by those he battles alongside and naturally wants to impress. During the battle at Leipzig/Halle Airport, he eagerly shows off his athletic prowess but gets tongue-tied in front of Captain America. Like the X-Men, Spider-Man is a metaphor for something much bigger, but with Peter, it’s puberty rather than racism. His body is changing and with it, come new responsibilities. True, the average teenager doesn’t fit crime-fighting around school but they do need to deal with what’s happening around them to a greater extent than before. 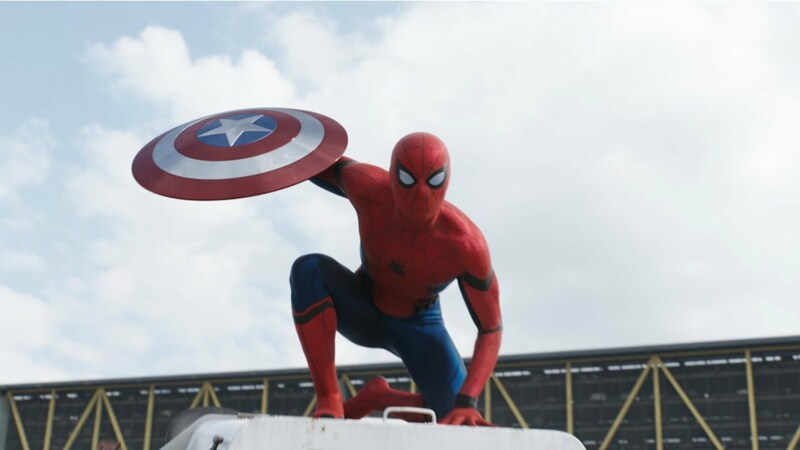 Peter wants to be a hero but at the same time, as he confesses to Stark, he would prefer to play sports. He is neither a child nor an adult – he’s somewhere in-between, having come a long way but still has much further to go. Peter Parker’s charm is that he is the most relatable to the traditional target audience of comic books but still manages to maintain a relevance as that demographic changes. Most teenagers may want to be Captain America or Tony Stark, because of wealth, strength or – as adults – they seem to know what they are doing. Peter is smart but awkward, decent but shy. He lives with his aunt and his parents aren’t around anymore. He has discovered a power within himself that can change the world but it’s untrained and clumsy. That’s adolescence. He is also shown to be loud and constantly cracking a joke. He tries too hard and doesn’t know how to do more – or even if he really wants to. When Peter’s friend discovers his secret identity in Spider-Man: Homecoming, it becomes an opportunity raise their social status and to get girls. To them, being a superhero is cool and makes them interesting, rather than pose a grave responsibility. Aunt May is kept in the dark about his double life and that’s also part of growing up. Developing a private life and wanting to keep family members aware to stop them interfering or because you fear the consequences are natural but difficult. Peter is no different but here, that secret brings trouble. Aunt May has so far not been directly involved but she’s asking Peter uncomfortable questions about his activities and he needs to deal with that. Iron Man can save the world and Captain America can defend the free world but Spidey is just looking after his neighbourhood and pass his exams. For that reason, Spider-Man: Homecoming might be the most ‘human’ of superhero films. Spider-Man: Homecoming is out in UK cinemas now. NEWSFLASH! FrightFest 2017 – come and get it!